A+ Insulation is pleased to offer the best insulation contractor services in the Kansas City, KS, area. With expertise in blown insulation, spray foam insulation, batt insulation, and soundproofing insulation, we're the ideal insulation company for your project. Our team is the name to know for exceptional workmanship, great prices, and dependable customer care. 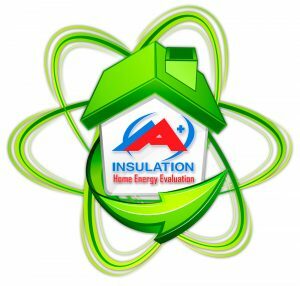 A+ Insulation was established in 2004 to bring you the best in home insulation and superior customer service. We’re dedicated to providing top quality insulation products to increase your home’s thermal efficiency and keep you warm in winter and cool in summer. As part of our commitment to customer service, A+ Insulation always offers fair, competitive prices because we believe that a comfortable home should be affordable. You can always count on our insulation contractors to go the extra mile. After all, we don't just settle for the A—we go for the A+! We're out in the cold to keep you warm. And we're out in the heat to keep you cool! Call today to learn more. Conveniently located in Lenexa, KS, A+ Insulation serves the insulation needs of the greater Kansas City area, including Overland Park, Shawnee, Leawood, Olathe, Mission, Prairie Village, and other nearby towns. We strive to provide the best insulation contractor services by always being dependable, honest, and hard-working. We’re a local, owner-operated company, and we put an emphasis on bringing our neighbors the absolute best in customer service. We stand apart from other insulation contractors in the Kansas City area with our exceptional skill when it comes to applying spray foam insulation, soundproofing insulation, batt insulation, and more. You may think that our unrivaled expertise comes with a steep price tag, but you would be wrong. In fact, A+ Insulation is the preferred insulation company in Kansas City because we offer highly affordable pricing for all of our services. Our insulation contractors are dedicated to your customer satisfaction no matter what, which means providing you not only with first-class workmanship, but also with budget-friendly prices. It'll be a challenge for you to find another local insulation company as committed to top-quality customer care as we are! For your protection and peace of mind, A+ Insulation is licensed, bonded, and insured. We are also members of the Blow-In-Blanket Contractors Association (BIBCA) and have earned the status of CertainTeed Certified Master Craftsman.